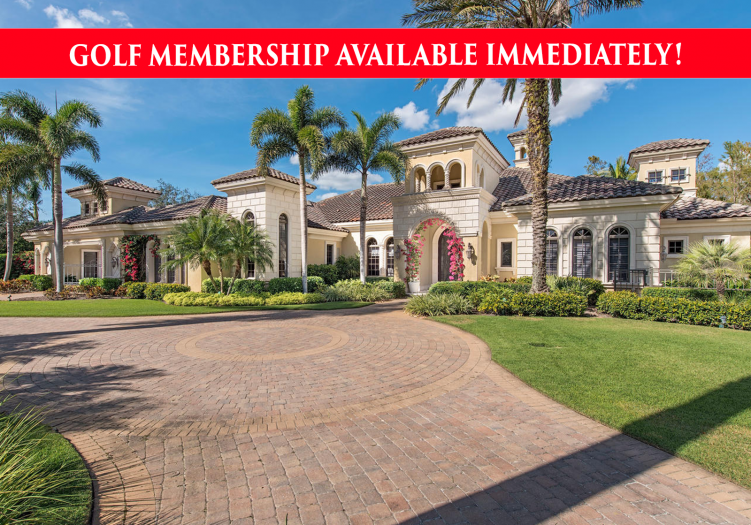 GOLF MEMBERSHIP ELIGIBILITY AVAILABLE IMMEDIATELY WITH THIS RESALE! 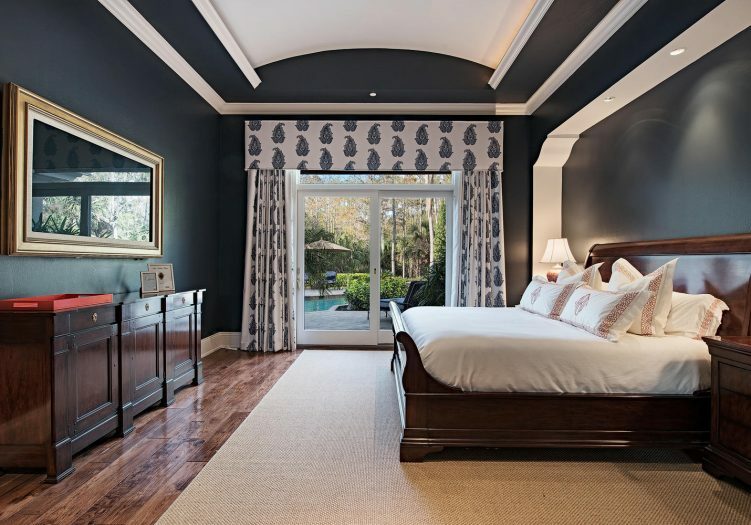 Attention to every detail is evident throughout this opulent estate home built by McGarvey Custom Homes. 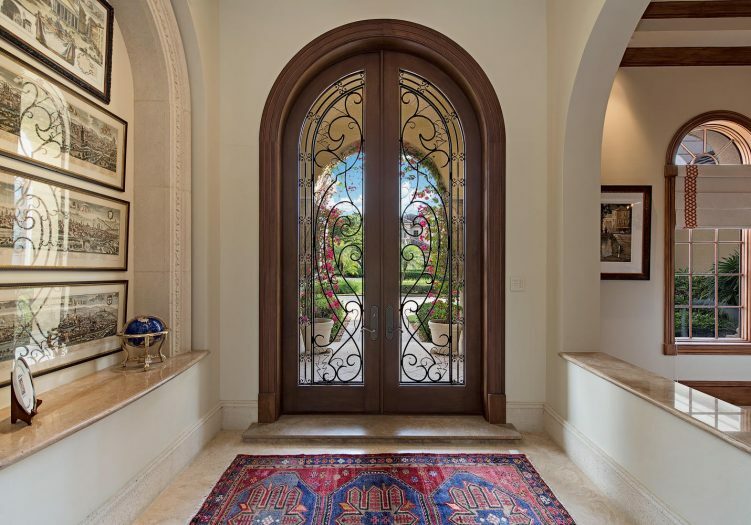 Enter the estate through magnificent wooden doors with wrought iron accents into the grand arched foyer to find captivating designer appointments, architectural features, wood embellished volume ceilings, crown moldings, sky lights, expansive windows, and Travertine marble and wood floors flowing throughout the home. 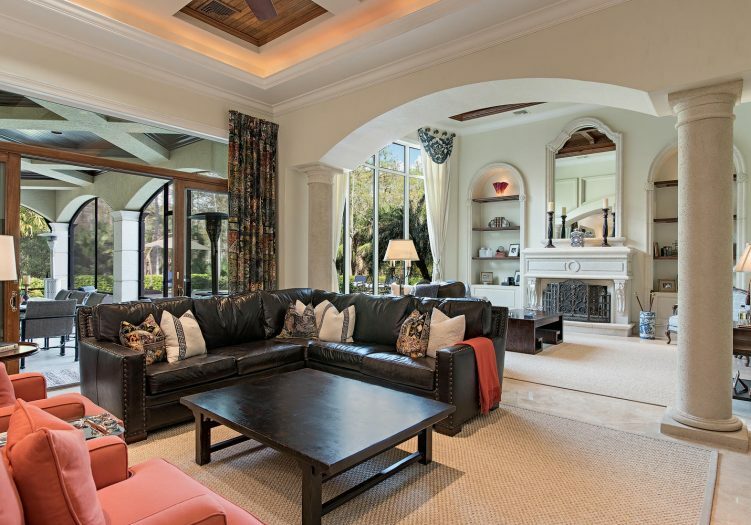 The luxurious formal living room is punctuated by an exquisite gas fireplace, handsome built ins and exceptional outdoor views through over-sized windows overlooking the expansive open-air pool deck. 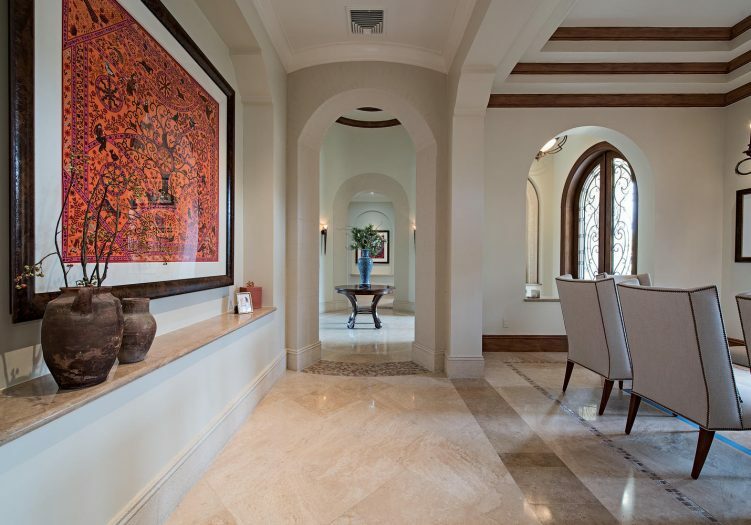 The elegant column flanked formal dining room is the perfect entertaining space, complete with rich wood ceiling accents, built in display shelving and a delightful wine cellar. 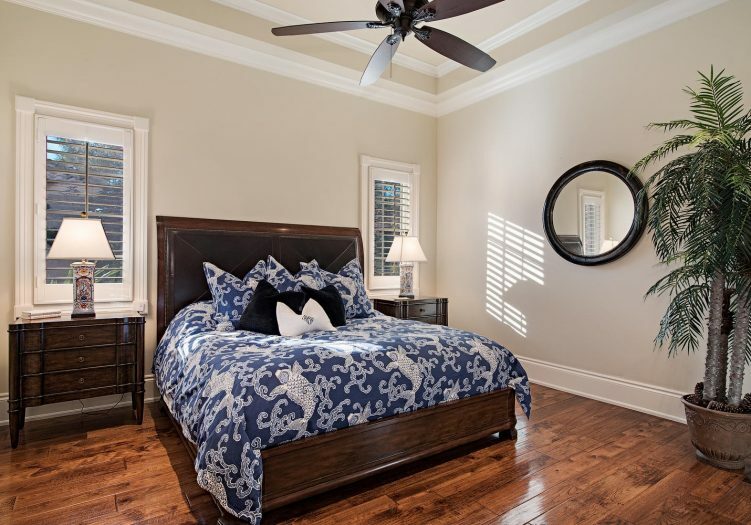 Newly updated rich wood cabinetry, state of the art built in appliances, granite countertops, large center island, and breakfast bar with vegetable sink make meal preparation a breeze in the gourmet kitchen. 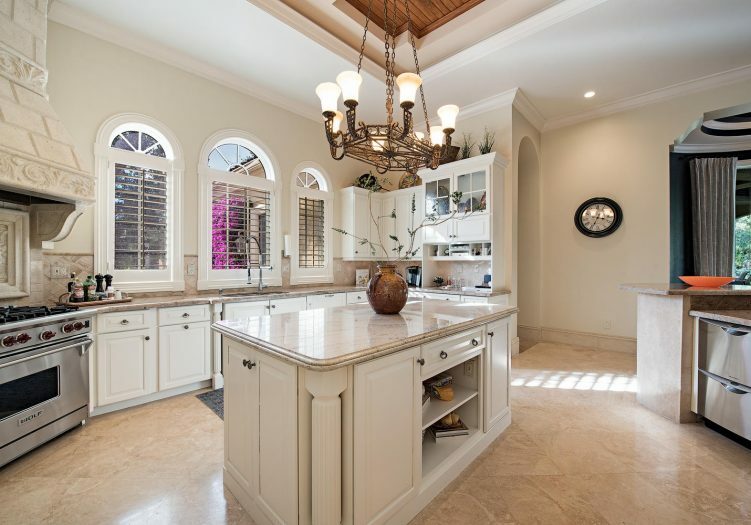 The adjacent breakfast nook features elegant ceiling details and seamless bay windows overlooking the screened loggia. 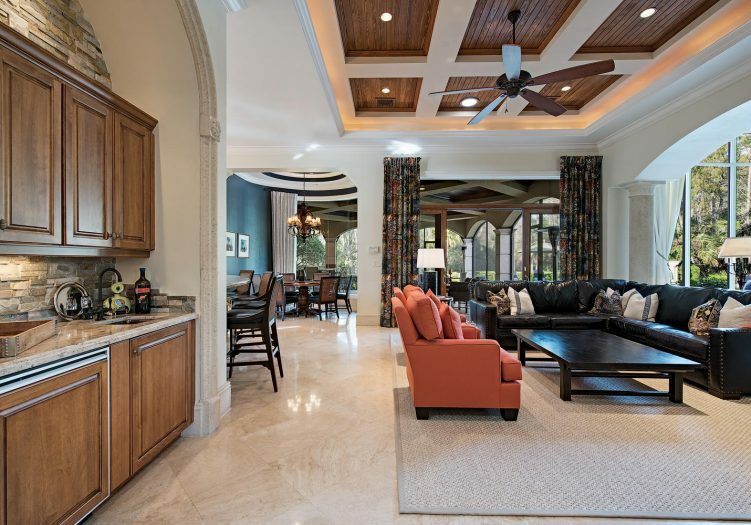 Rich wood tray ceilings and sophisticated wood sliding doors punctuate the comfortable great room, allowing for seamless indoor and outdoor entertaining with selections from the adjacent wet bar. 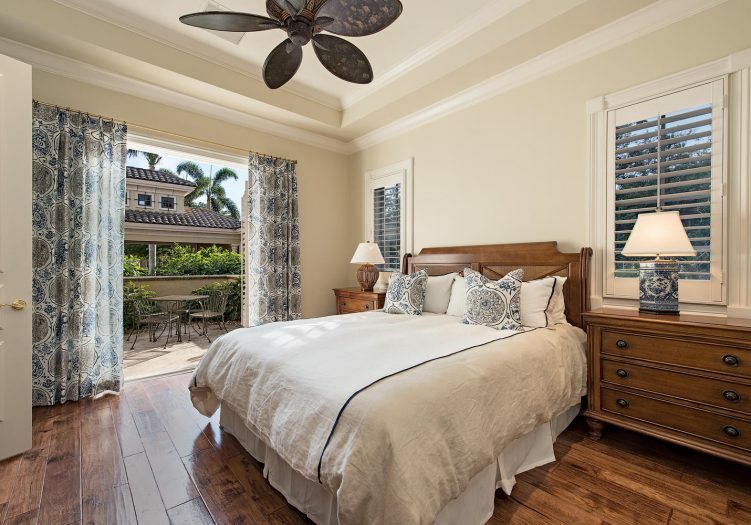 The master suite is a relaxing retreat boasting a stylish morning kitchen, spacious master closet, luxurious master bathroom and private outdoor access. 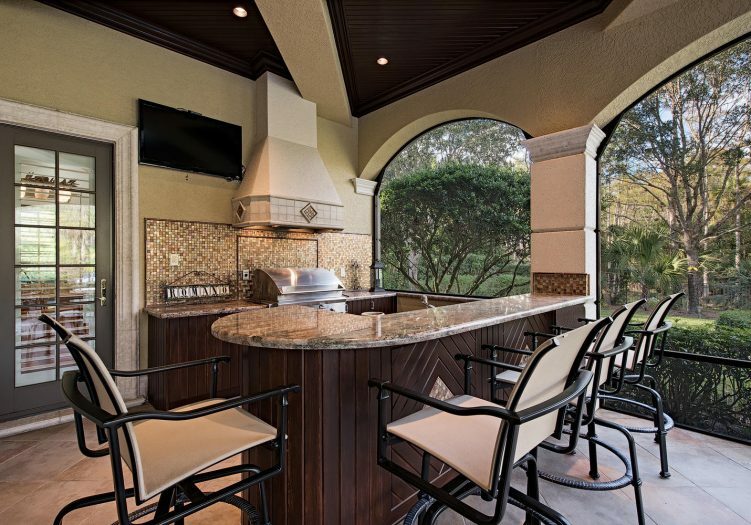 Outdoor amenities abound on the screened loggia and open-air pool deck, featuring a fully equipped outdoor summer kitchen with intimate seating and dining areas for entertaining family and friends around the sparkling custom pool, spillover spa and poolside fireplace. All with privacy in mind, the natural preserve views on this fantastic end cap lot are the perfect backdrop for this luxurious residence in paradise.